Product prices and availability are accurate as of 2019-04-06 05:10:47 EDT and are subject to change. Any price and availability information displayed on http://www.amazon.com/ at the time of purchase will apply to the purchase of this product. 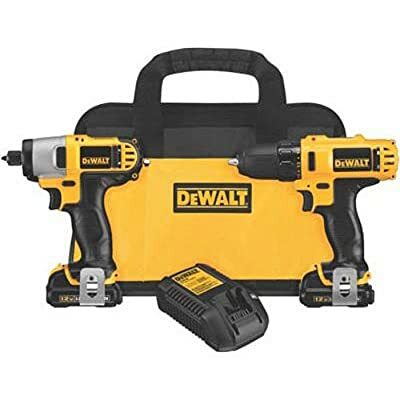 The DEWALT DCK211S2 12V MAX Cordless Drill/Driver and Impact Driver Combo Kit features a two-speed transmission and LED lights for working in dark spaces. 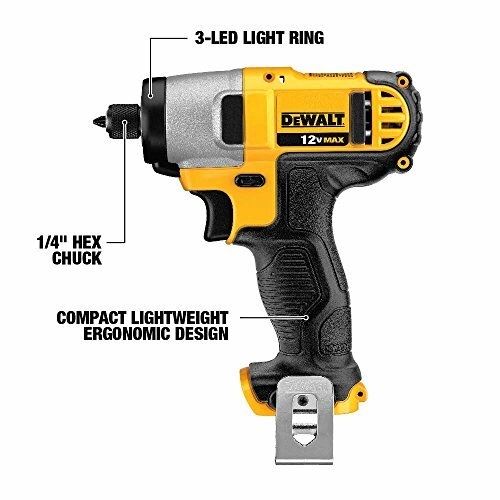 The DEWALT 12-Volt Max Drill/Driver and Impact Driver are both ergonomically designed for use in small spaces, and include LEDs. 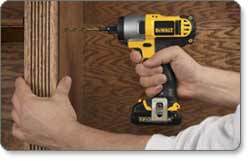 The drill/driver delivers a 189-unit-watt output, and features a two-speed gearbox with a 15-position clutch. The impact driver offers up to 79 foot-pounds of torque and a 1/4-inch chuck that can be loaded with one hand for convenience. Part of DEWALT's compact line of 12-volt rechargeable tools, these drivers use 12-volt max lithium-ion battery packs that offer 1.1 Ah. At 7-1/2 inches long, the 3/8-inch drill/driver is designed to fit into small spaces, providing secure penetration without damaging screw heads from angled driving attempts. 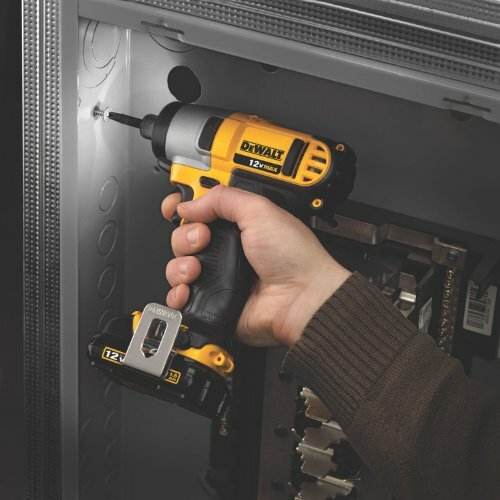 The compact body of the driver means you can apply maximum leverage, enabling you to get the most from this drill/driver's 189-unit-watt output. The 15-position clutch works in conjunction with a two-speed gearbox so you get precisely the amount of torque and delivery best suited to your application. Additionally, the drill/driver's single LED--mounted radially around the barrel--will light your target area to provide better visibility. 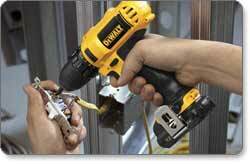 The impact driver offers 3,400 impacts per minute and up to 79 foot-pounds of torque. The 1/4-inch chuck can be operated with one hand, so loading bits up to 1 inch is a quick and easy. The driver features a built-in belt clip, three barrel-mounted LEDs, and reverse for additional ease of use. This kit comes with two 12-volt max lithium-ion battery packs, each with 1.1 Ah. The recharge time of these battery packs is between 30 minutes and 1 hour. Drill driver, impact driver, two lithium-ion battery packs, charger, two belt clips, and bag.